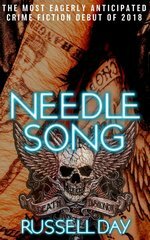 Fahrenbruary Repost: Needle Song by Russell Day: Great characters, strong writing, and a clever solution to the mystery made this one of 2018’s best. Could. Not. Put. This. Down. And now I get to repost this — one of my Top Ten from last year. 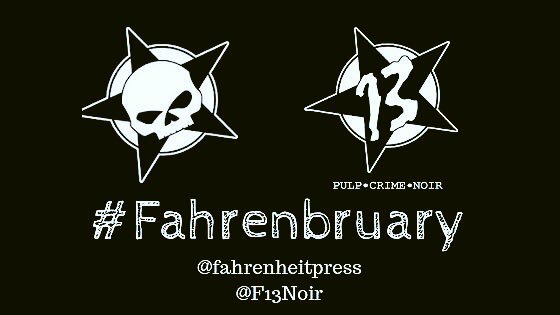 This is what Fahrenheit does best: unusual protagonists, a great deal of panache, and a crime that’ll make an impression. He’d changed again in some way. Like he had the night in The Jericho putting out The Jive. But this was different again. The Jive was showmanship. The good Doctor Slidesmith in full sail. This was more intense. I’d see him like thus on occasion in the shop, absorbed in the ink and the song of the needle. I wouldn’t say lost in what he was doing. Lost implies lack of control. For the first time that evening, it struck me he needed an audience, not to watch him but for him to watch. Like a dial on a machine, not part of the process, just a way of monitoring it. Back when I posted about the short story featuring Doc Slidesmith, Not Talking Italics, I said that if Needle Song was anything like it, “I’m going to have to go down to the superlative store this weekend to stock up before I write anything about it.” I’m fully stocked (now) and ready to go. I was disappointed — somewhat — and relieved to see that the all-dialogue, no narration, no other description approach of Italics was nowhere to be seen. I could’ve read 380 pages of that (see my love for Roddy Doyle), but I know it’s not that approachable and will turn off some readers. Now, I don’t know if anyone but Karen E. Olson has envisioned a tattoo shop as a hotbed of crime fighting — or the staff of such to be the source people would turn to for help with legal difficulties. But it works — all because of the owner of the shop, former psychologist, current Voodoo practitioner and Tarot reader, Doc Slidesmith. 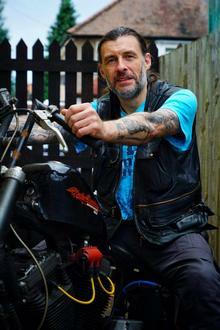 On the surface, you see a rough-looking — striking, I think, bordering on handsome — but your basic leather-glad biker type, covered in ink — and will underestimate him. Only those who’ve been in conversations with him, those who’ve given him a chance will see the charm, the intelligence, and the indefinable characteristic that makes people come to him for help in times of trouble. In many hands, Doc’s…peculiar resume, shall we say, would end up this cartoonish mish-mash of quirks. But Day is able to make it work — there’s a reason that Doc ended up where he is, we don’t need to know it, but it makes him the man (and armchair detective) that we want to read about. Andy Miller — known to many as “Yakky” (he’s not a chatty type, his tattoos are all placed so that he can hide them all with this clothing, like a member of the Yakkuza), is the tattoo apprentice to Doc Slidesmith. He lives with his father — a thoroughly unpleasant and manipulative man, that Yakky feels obligated to care for. While clearly appreciative for Doc’s tutelage, and more in awe of his mentor than he’d care to admit, he’s also more than a little skeptical of Doc’s interests, beliefs and practices that aren’t related to his tattooing. He’s our narrator. He’s not your typical narrator — he’s too frequently angry at, dismissive of and unbelieving in the protagonist for that. Which is just one of the breaths of fresh air brought by this book. Yakky is singularly unimpressed by Doc’s playing detective — but in the end, is probably as invested (maybe more) in the outcome. Jan is brought by Chris Rudjer (a long-time client and friend of Doc’s) for a Tarot reading, which brings her some measure of comfort/reassurance. So that when, months later, her husband kills himself, she comes looking for another reading — which turns into seeking help in general. Not just for her, but for Chris, with whom she’d been carrying on a not-very-secret affair for months. While it seemed obvious that her husband had taken his own life when she found his body, there were some irregularities at the scene. When the police add in the affair Jan was having with someone with a record for violent crime, they get suspicious. Slidesmith does what he can to help Chris prepare for the inevitable police involvement, and enlists Yakky to help, too. Yakky takes Jan home to stay in his spare room. She can’t stay at home — the memories are too fresh, there are problems with her husband’s family, and (she doesn’t realize it yet) there are people following her and Doc and Yakky are worried. The dynamic between Jan and Yakky, and between Jan and Yakky’s father, end up providing vital clues to her character and psychology. This will end up proving vital to their case. As Doc and Yakky begin digging around in Jan’s life, it’s immediately obvious that very little is as it seems. 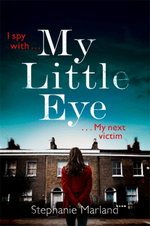 Now, if you’re used to reading Crime Fiction featuring serial killers or organized crime, you’ll think a lot of what they uncover is pretty small potatoes. But it actually seems worse — it’s more immediate, more personal — serial killers have their various pathologies, mobster’s are after profits and power — these people are just about hate, cruelty and control. Maybe it’s just me, but it seems worse in comparison. The plot is as intricate as you want — there are twists, turns, ups, downs — both with the investigation and in the lives of those touched by it. This doesn’t have the flair of Not Talking Italics, but the voice is as strong, and everything else about the writing is better. It’s a cliché to say that Day paints a picture with his words, so I won’t say that. But he does etch indelible patterns with the tattoo-gun of his words — which isn’t a painless process for all involved, but the end result is worth whatever discomfort endured. 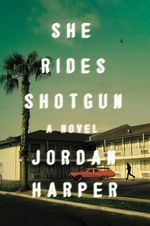 Day doesn’t write like a rookie — this could easily be the third or fourth novel of an established author instead of someone’s talented debut. I’m torn on what I think about the details of the ending, wavering between “good” and “good enough, but could have been better.” It’s not as strong as the 94% (or so) before it, but it’s probably close enough that I shouldn’t be quibbling over details. I’m not talking about the way that Doc elicits the answers he needs to fully explain what happened to Jan’s husband (both for her closure and Chris’ safety), nor the way that everything fits together just perfectly. I just think the execution could be slightly stronger. 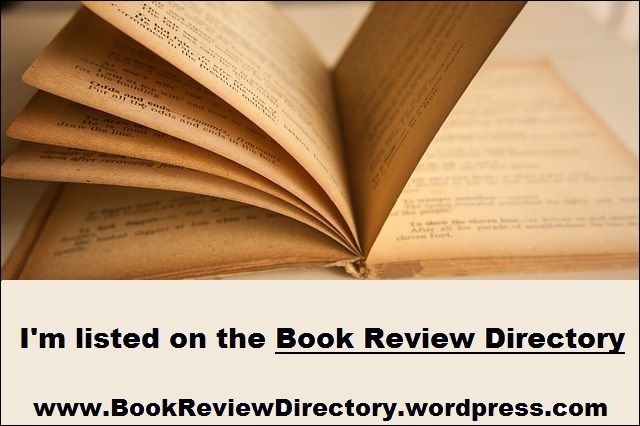 Whether you think of this as an amateur sleuth novel, a look into the depravity of the suburbanite, or an elaborate Miss Marple tribute/pastiche, the one thing you have to see is that this is a wonderful novel. I’m underselling it here, I know, this is one of those books that you best understand why everyone is so positive about it by reading it. You’ve got to expose yourself to Doc, Yakky and Day’s prose to really get it. One of the best books I’ve read this year. My only complaint with this book? After reading so much about the “song of the needle,” the shop, the work being done there — I’m feeling the pressure to get another tattoo myself, and soon. Once I settled on dividing this chunk of my reading out for its own list, I knew instantly half of the books that’d make it before I looked at just what I’d read in 2018. After going through that list, I had 15 more candidates for the other 5 spots. Whittling those down was hard, but I’m pretty comfortable with this list. That doesn’t mean the other 90 or so books I read in this family of genres were bad — most were great (I can think of maybe 5 I could’ve missed). But these are the crème de la crème. Man, I wanted to write the crème de la crime there. But I’m better than that. Not all of these were published in 2018 — but my first exposure to them was. As always, I don’t count re-reads, or almost no one could stand up to Stout, early Parker, etc. 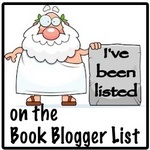 and my year-end lists would get old fast. Now that I’m done with this, I can focus on 2019. A book with some of the darkest moments I came across last year — and some of the brightest, too. The mystery was great, the character moments (not just between the protagonists) were better — great rounded, human, characters. Even after I saw where Craven was going with things, I refused to believe it — and only gave up when I had no other choice. Two (at least) fantastic reveals in this book, very compelling writing and fantastic characters. What more do you want? Washington Poe and Tilly Bradshaw are two of my favorite new characters and I can’t wait to see where they go next. I could pretty much copy and paste that above paragraph for this one. 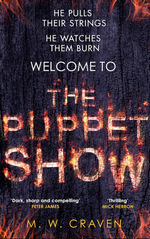 It never gets as dark as The Puppet Show, but the depravity displayed is bad enough to unsettle any reader. What makes this story compelling isn’t really the crime, it’s the way the crime impacts the people near it — those who lost a family member (I don’t want to say loved one) and those who are close to the suspects. Yakky and Doc Slidesmith are characters I hope to see again soon, and I want to bask in Day’s prose even more. The story of a little girl being surrounded by death and destruction, with both looming and threatening her all the time, and her discovering how to be brave. The story of a man trying to be a good father — or just a father. The story of survival. A story of revenge. A story about all kinds of violence. Wonderfully told. 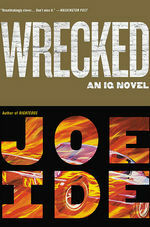 Not as entertaining as IQ, but it works as a novel in ways the previous two didn’t. I don’t know if I could put my finger on it, but it’s there. Wrecked is a clear step in evolution for Isaiah, Dodson, and probably Ide. It definitely demonstrates that the three are here to stay as long as Ide wants, and that these characters aren’t satisfied with being inner-city Sherlock/Watson, but they’re going places beyond that. Some good laughs, some good scares, some real “I can’t believe Ide ‘let’ them do that to Isaiah” moments — a great read. I put off reading this for reasons I really don’t understand and haven’t forgiven myself for yet. But the important thing is that I read it — it took me a chapter or two to really get into it, but once I did, I was in hook, like and sinker. In my original post I said this is “a joy to read; full of characters you’ll want to spend days with, that you’ll want to have over for Thanksgiving dinner just to lighten things up and distract you from Aunt Martha’s overcooked yams and dry turkey; a completely fun time that’s very likely most I’ve enjoyed a book in 2018. It is escapist. It is silly. It is clever.” I also said, “Probably the 5-Star-est 5-Stars I’ve given this year.” There are a couple of books that could compete for that line, but I’m not sure they’d win. Fantastic, fantastic premise. Great hook. Another great pair of protagonists (although most of their work is independent of each other). 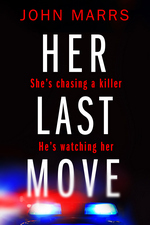 A True Crime blogger and a DI racing to uncover a serial killer, while battling dark secrets, dark pasts, and outside pressures that threaten to derail them at every turn. Marland surprised me more often and in more ways than just about any author this year. I was floored by some of them, too. 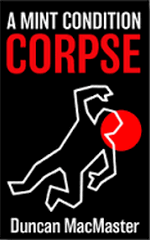 A great puzzle, a great mish-mash of amateur detective and police procedural. I didn’t realize what I was getting myself into when I said yes to this Book Tour request. I’m not sure I could have — no offense to Mr. Marrs, but I don’t think I’d heard of him before. He’s definitely on my radar now. This was brutal, devastating, shocking, and just about every other adjective reviewers (professional and otherwise) overuse when describing a thriller. Marrs did so many things I didn’t think he would do. He didn’t do a lot that I thought he would (and seemed to mock the idea that he’d so some of what I wanted him to do). I spent a lot of time while reading this book not liking him very much, but so grateful I was getting to read the book. I’m still upset by some of it, but in awe of the experience. Sam Batford, undercover cop, is back in a sequel that shows real growth from a very impressive debut. Batford is in incredibly murky ethical and legal waters — and that’s not counting what his undercover op is. Any misstep could ruin his career, end his life, land him in prison — or all three. Actually, those options hold true even if he doesn’t make any missteps. There are so many balls in the air with this one that it’d be easy to lose track of one or more. But Patrick doesn’t seem to struggle with that at all — and he writes in such a way that a reader doesn’t either. That’s a gift not to be overlooked. I liked the overall story more than it’s predecessor and think that Patrick’s writing was better here. This is a series — and a character — that you really need to get to know. 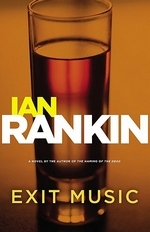 I’ve spent enough time with John Rebus over the last couple of years that I knew one of the books had to end p here, I just wasn’t sure which one. Exit Music ended up on the Top 10 not so much for the main mysteries (although they put the book in contention), but for all rest of the things that the novel was about — Rebus’ moving on (not knowing how to or to where), Siobhan moving on (and not sure she wants to), and the dozen or so little things surrounding the two of them and their work. Even Big Ger was kind of moving on here — and that’s just strange to read about. Exit Music would’ve been a great way to say farewell to John Rebus, I’m just glad it wasn’t that. If not for Kirby Baxter (above), I could say this was the most fun I had with a Mystery novel this year (not to take anything away from the sequels on that front). This is just the right mix of high school hijinks, teen drama, quirky characters and writing with panache. Zoe and Digby are a great combo of smarts, recklessness and responsibility as they work their way through puzzles surrounding missing kids, drug dealing doctors, and some strange cult-like group. You can feel the chemistry between them — like Remington Steele and Laura Holt, David Addison and Maddy Hays, Cumberbatch’s Sherlock and Freeman’s Watson. Throw in their friends and frenemies and you’ve got a recipe for fun and suspense. I listened to this on audiobook (and bought the paperback for my daughter before I got to the end, I should add) and McInerney’s narration was perfect — she captured the spirit of the book and made the characters come alive. Needle Song by Russell Day: Great characters, strong writing, and a clever solution to the mystery make this one of 2018’s best. 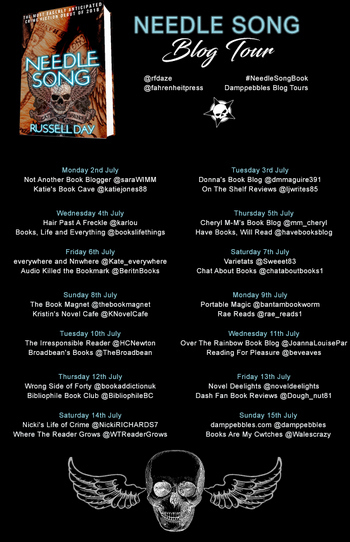 Today we welcome the Book Tour for the fantastic Needle Song by Russell Day — I’m just hoping this stop matches the quality of the rest of the tour (seriously, check out the graphic below to see some of the other posts). Along with this spotlight post, I’ll be giving my take on the novel here in a bit. 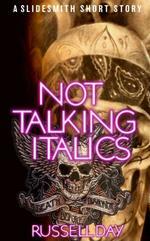 Not Talking Italics by Russell Day: This Short Story contains enough entertainment value to carry a novel. In a couple of months, I’ll be taking part in a book tour for Russell Day’s debut novel, Needle Song, and I’m really looking forward to that (and am having a hard time not reading it now). But today, we’re going to look at a short story featuring the protagonist of the book, Dr. James Slidesmith. A little something to whet our collective appetities. I know very little about Slidesmith after reading this short story, and I can’t wait to find out more. Here’s what I do know — 1. He has a PhD in Psychology, and is touchy about those who don’t consider him to be a “real” doctor; 2. He owns and runs a tattoo parlor/shop; 3. he plays poker; 4. He’s very smart; 5. He has the gift of gab. All five of these are important, but in this short story, that last one is essential. Everything in this is dialogue — no dialogue tags, no narrative, no descriptive passages — just characters talking. Which will involve all that other stuff, but that’s not how the story is told. It takes place in a police interrogation room — you’ve got a Detective Constable, a Detective Sergeant and Dr. Slidesmith talking about an incident at a poker game earlier that night. Things got nasty and two men died, given the small number of people at the game, the Police are looking to quickly identify the killer(s) and wrap this up quickly. But first they’ve got to get past the silver-tongued Slidesmith. That won’t be easy. He offers a detailed explanation of the night’s events — including doing some educating on Texas Hold-’em, the ins and outs of betting in the game (and how to manipulate betting). There are a couple of characters that we only learn about from questions and answers in the interrogation, and I feel like I ahve a pretty good handle on them, without seeing them speak for themselves. That’s a nice move. As it’s just dialogue — and well-written dialogue, at that — this is a fast, breezy read (so fast, you might miss a thing or two the first time through). It’s not so much a book that you read, it’s one you hear with your eyes. I’m not certain that makes a lot of sense, but it’s the best way I can put it. These are fast-moving conversations, they have a certain rhythm, a certain feel — and you just want to keep reading more and more of it. This could’ve been twice as long and I don’t think my attention would’ve wavered an iota. Imagine your favorite scene written by Aaron Sorkin, then imagine it changing into an interrogation in a British Police Station — that’s what this story is. This is good stuff, my friends — better than good. There’s an extent to which the reveal seems “oh, sure, I should’ve seen that coming” — and it wouldn’t surprise me if many readers get there before Day wants you to (I was not one of them) — but it’s so satisfying, so well-executed, I can’t imagine a soul complaining about it. If Needle Song is anything like this, I’m going to have to go down to the superlative store this weekend to stock up before I write anything about it. Stop whatever you’re doing — including reading this — and click the links at the top of the page to go get this story. You’re welcome. I’m very excited to be a part of the crew revealing the cover for Russell Day’s Needle Song — after you rest your peepers on the cover, read on to learn more about this great looking book. Is that not the textbook definition of arresting? I’m sold. I’m not just saying that as part of this cover reveal, that blurb did it’s job when I read it. 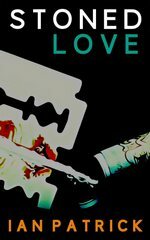 Last minute addition to the post, added without nuance: Fahrenheit Press just dropped a pre-order link. Click and buy! 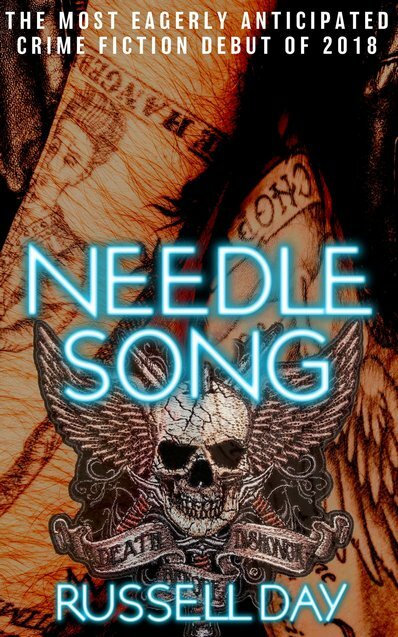 NEEDLE SONG by Russell Day (@rfdaze) published by @fahrenheitpress in eBook on Monday 30th April! #NeedleSongBook | @damppebbles.